Is there an age restriction/recommendation to enter The Edinburgh Dungeon? Are there any restrictions for children visiting The Edinburgh Dungeon? 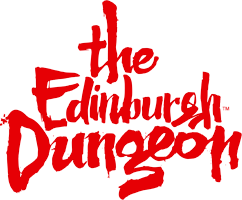 Due to the nature of the attraction, The Edinburgh Dungeon is generally recommended to children aged 8 years and over. However, entry is at the discretion of a parent or guardian. Many children between 5-8 enter The Edinburgh Dungeon and enjoy the experience, but please be aware it does get very dark inside the building and there are lots of loud noises. Please note that children aged 5 and under will not be allowed entry into The Edinburgh Dungeon. If at any time you need to leave the attraction, simply speak to the actor in the show you are in and they will arrange for someone to help you to the nearest exit as soon as possible. Please be aware tickets are non-refundable and non-transferable. Are there any ride restrictions for The Edinburgh Dungeon?